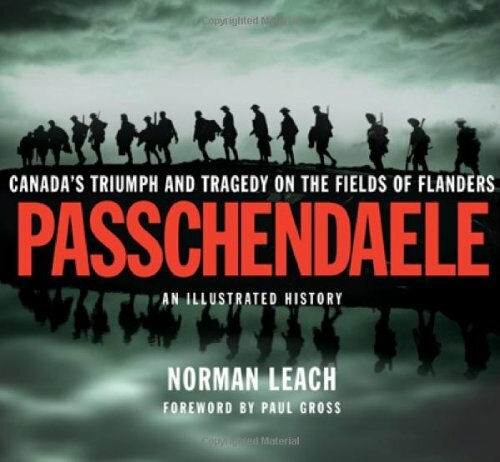 This fully-illustrated, easily-accessible, account of the battle of Passchendaele presents the background and details of Canada’s coming of age in The Great War. During WWI, the battle for the tiny Belgium town Passchendaele was one of the most significant tests of Canadian courage and expertise. British Commander-in-Chief General Douglas Haig had devised one of the most controversial stratagems of the entire war: Allied forces would attack headlong into the heavily fortified German entrenchments, capture the town of Passchendaele and its highlands, and drive toward the coast to destroy German submarine bases. Sub-Lieutenant R.A.F. Raney, Royal Canadian Naval Volunteer Reserve (R.C.N.V.R. ), 10 May 1943.